We all know that to have a successful marriage, the relationship has to be nurtured and fed. Spouses who do not pay attention to the needs of their relationship are doomed to grow apart instead of growing together. But just because a marriage withers on the vine, doesn't mean that a divorce has to result in sour grapes. Many of the problems that prevent people from having a successful divorce stem from the false assumption that divorce is an endpoint. Divorce, like marriage, is a relationship. Anyone who has been through a divorce can dispel the notion that a divorce is just an event, begun one day and over the next. 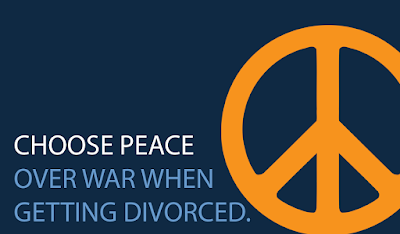 Divorce is a process, that takes time, requires patience, and still involves a relationship between spouses. And when spouses have children together, that relationship doesn't end when the divorce becomes final, it continues for graduations, weddings, grandchildren and more. Divorce, like marriage, is a relationship. Both at my firm and in many of the professional organizations I belong to, we are often searching for better ways to explain divorce to our clients. If you begin by asking questions, you learn a lot about the potential client, but they don't learn much about you. If you begin by trying to explain "processes" clients learn how they can get divorced, but not how to get divorced well. Maybe we need a new model, a story that explains how a potential client can get from the end of their marriage to the beginning of the next stage of their life. That story, like many stories, starts with a seed. Now you might think that a bitter pill would be a better metaphor for the end of a marriage, but trust me, a seed is better. Seeds have both a before and after, but you can't necessarily tell much about either of those places just by looking at the seed itself. Many divorcing clients appear the same at the moment they enter my office, determined but a bit confused, having goals but also needing direction. Like a seed, their current state is the result of a relationship that came before. That relationship determines what kind of seed it is, but what the seed will grow into is not only controlled by its history. It also matters where that seed landed, and how it is nurtured. The organic process of how divorce cases proceed from start to finish, is similar in many ways to the growth of a tree from a seed. Our goal is to develop a strong tree, able to withstand future storms. But growth and strength don't happen overnight. In fact, usually the process is too slow to be seen by the naked eye, but just because the process is slow doesn't mean the tree is standing still. As one of my mentors used to say, settlement only happens when the case is ripe. Just like the organic growth of a tree, settlement requires the addition of necessary ingredients to blossom. A major component of settlement is time, but that's not enough. You may also have to shine light on parts of a client's life and marriage that they'd rather leave dark. But, in the end, the only way to wash away the dirt and create strength from vulnerability is to combine all of these elements to feed the next stages of life in a way that is balanced and leaves room for further growth. And just as proper nurturing, light and time can lead to a healthy and strong future, ignoring any of these key elements leads to stunted growth. Proper counsel for divorce clients requires paying attention to these needs for our clients, and as corny as it sounds helping them choose what kind of tree they want to be, and where they want to grow. Mediation is often represented as a single tree, or leaf. I'm not sure how so many mediators came to choose this as their symbol, but I think it fits. Mediation doesn't take place among the forest of other divorces, or in the public eye of court. Instead it takes place in the mediators office, away from other divorcing spouses and their situations. A hallmark of mediation is about letting each set of clients come to a solution that they agree works best for their unique family. Though comparisons may happen when they leave the mediators office, mediation doesn't require a comparison to how other people grew their seed, it's only about those two people and how they want to resolve their problems. When two spouses are both independent and have the ability to grow their strength from within, then they only need the gentle nurturing of a mediator to reach a successful divorce. Collaborative Divorce is about seeing the forest through the trees. Similar to mediation, it takes place outside the public court forum. But it is different than mediation, in that each client is provided with more support to help them grow within the protection of a professional forest. Collaborative divorce is often referred to as a team approach to divorce, but team implies everyone working together all of the time (and billing the clients for all that time). In reality, collaborative divorce is more like a set of gardening tools. Each tool or person has a role that helps the spouses grow the strength needed to support their own forest after divorce. Attorneys have different skills and training than coaches and financial planners. Each team members provides different nurturing, or strengthening skills to allow both spouses to grow together and coexist, even if they didn't start out in equal soil. Collaborative divorce lends itself well to complicated issues, or imbalances that might prevent successful mediation because the interdisciplinary nature of the different professionals allows them to fulfill the needs of clients who wouldn't have been able to grow to the same heights on their own in a mediation. And since it also takes place far from the court house, the reflection of other groves doesn't block sunlight from this forest, allowing each tree to grow with only the restrictions they place on themselves. Litigation takes place inside and outside of the courthouse. While litigation requires that you always track the shadow of the law, you don't have to let it block out all the light. Court is not an organic process. It feels as unnatural as the sound-proofed walls that lined the courtrooms. The litigation process is designed to collect and reflect enough of the natural light of your family, to allow you to survive, but not necessarily thrive. Like a plant that's kept inside, it's not your natural environment, but with the right help it won't kill you. Your growth will be restricted based on the rules of the court, and still might result in settlement but you will have to work harder to make that happen. In some ways this means that the attorney you choose to help you in court is even more important than who you might choose for mediation or collaborative divorce. If you choose a litigator who only knows the path to trial, then you will most certainly be firmly rooted in that path, and will have to take your chances with the Judge. But if you choose a lawyer with the experience and drive to settle cases, they then will help you see the many paths that exist, even when you're limited to a particular landscape. It might be harder to get settlement to ripen in the harsh unnatural light of court, but if the case is nurtured and prepared properly it is still possible. If you'll allow me one final stretch of the metaphor, remember that personal growth does not end at the end of a marriage, nor does it end when a client receives their Judgment of Divorce absolute. Proper care of a case requires consideration of how future growth will be supported, whether it can be made self-sustaining and whether the path you've provided will allow for sustainable growth for both the clients and their seeds. Divorce is not an easy or happy subject, but like any transition in life it can be viewed as an end or a beginning. Ending cases shouldn't be the goal. The goal should be helping clients understand how to stretch their branches towards the light of better days. I am contemplating divorce, but with all these options, frankly, I'm just stumped.